This year there will be well over $100,000 up for grabs in the fifteen or so photography prizes running across the country. It seems everybody loves a good competition, and as the most democratic of art forms photography readily lends itself to the format. Entries can be submitted digitally for easy short-listing, and artists and amateurs can both have a go on roughly equivalent terms. No matter what you think of the judge’s final, painfully arrived at decision, a bit of controversy never hurt anyone, and anyway, there’ll be a different judge next time. For the lucky photographer who does eventually come up trumps there is the professional recognition of the prize, plus the thrill of actually winning something — cash or just a camera — and the opportunity to have their image and name reproduced in newspapers and journals around the country. For those that only get short-listed, there is still the extra line on their CV. And for those that hopefully sent off their jpegs along with their entry fee and didn’t even get a guernsey, well, there’s always next time. Some photographers make the conscious decision to spend a lot of time and money entering as many art awards as they are eligible for, in the hope of eventually striking it lucky. The stats can be discouraging though. Almost 1500 people paid 25 dollars to enter one of the country’s most recent and richest prizes, the National Portrait Gallery’s National Photographic Portrait Prize, but only about 1 in 20 could get short-listed, and of course only one photographer could win the $25,000. For its part the gallery got a feisty show that’s sure to be popular, where unknown amateur photographers cheerfully rubbed shoulders with the big names, and serendipitous happy snaps added zest to monumentally posed portraits. Prizes can make a lot of sense for smaller galleries and museums too. Regional galleries with limited resources but big ambitions can use a prize to efficiently sample the national scene. For 25 years the Albury City Regional Art Gallery has been running its biennial National Photography Purchase Award (won last year by Anne Zahalka) with a $10,000 acquisition fund, and has built up a formidable collection of contemporary Australian photography. The Gold Coast City Art Gallery has been using the Josephine Ulrick & Win Schubert Photography Award (won last year by Paul Ferman) to similar effect, and it was been joined in 2005 by the Tweed River Regional Art Gallery with the Olive Cotton Award (won last year by George Fetting), and in 2006 by the Monash Gallery of Art (which already had a substantial photography collection) with the William and Winifred Bowness Photography Prize (won last year by Ray Cook). Prizes are also a good option for galleries to negotiate with philanthropists, particularly in a straitened cultural climate, because what the philanthropist is being asked to sponsor is not this or that particular photographer or image, but on ongoing process based on access and merit. The sport-like fun of the competition provides an entertaining show for the local community, and the announcement of the winner gives the gallery a national presence. Prizes are always great shows to visit. There is always the judge to disagree with, and even though curators work hard to corral the entries — each one clamouring for individual attention — into a coherent hang, inevitably some of the scandalous geo-politics of the nineteenth-century salon remains. For example, which image, which looked good as a jpeg but disappointed when it was unpacked, ends up next to the fire extinguisher? Or which image, which arrived bombastically enlarged and in a tacky frame, ends up in an under-lit corner? Although no individual institution should be begrudged its photography prize, the fact that they are increasingly dominating the photography scene is unprecedented. By their very nature photography prizes have to be superficial. In most, though not all, cases only one image is selected from each short-listed photographer, despite the fact that the photograph’s natural home is as part of a group or a series. Photographs usually need proper contextualization, but many prizes hang photographs with no supporting material at all to explain the work. Others include short artists statements, which in their naivety sometimes do a disservice to the photographer. Some prizes are specifically designed to encourage particular genres such as landscape, portraiture, or documentary. But, probably because they are all organised along similar lines, the open prizes seem to be taking similar snapshots of the photographic scene. For instance last year the Bowness Prize, which I saw at the Monash Gallery of Art, wasn’t substantially different in terms of entrants, styles and themes, to the show I had selected and judged at the Gold Coast City Gallery for the Josephine Ulrick & Win Schubert Photography Award. Sometimes I wonder what the opportunity costs are for the worthy efforts photographers, galleries, and sponsors put into prizes. Everybody would agree that they are no substitute for a curated, researched and contextualized show, or a strategic collection policy, and of course from the point of view of individual institutions their prizes are thought of as complementing, rather than replacing, their other stirling curatorial work. But perhaps the looming presence of prizes in the consciousness of photographers and viewers alike is beginning to cast a corrosively aleatory temper over the whole scene? Dr Martyn Jolly is Head of Photomedia at the Australian National University School of Art. He judged the National Photography Purchase Award at the Albury City Regional Art Gallery in 1985 and the Josephine Ulrick & Win Schubert Photography Award at the Gold Coast City Gallery in 2007. The Australian Centre for Photography, Sydney, New South Wales, Australia. The Australian Centre for Photography (ACP) is a publicly funded gallery curating exhibitions of Australian and international photography, combined with a workshop offering courses to the public and access to photographic facilities. It also publishes the magazine Photofile. The ACP opened in 1974 and it was very much a child of its time. Interest in photography as a creative art was booming in Australia in the early 1970s. Art museums were establishing departments to collect and exhibit international and Australian photography, art schools were establishing photography departments to turn out graduates in what was then regarded as the hottest new medium to be in to, entrepreneurial individuals were opening (mostly short lived) private photography galleries, and magazine and book publishers were experimenting with (mostly short lived) publications devoted to the new art form. The boom took off first in Melbourne, but spread to other capital cities. Australia was undergoing a general cultural and social renaissance during this period because in 1972 a progressive federal government had been elected which greatly increased arts funding. In this climate a small group, led by the important Australian documentary photographer David Moore, successfully applied to the government for funds to set up a ‘Foundation’ for photography. 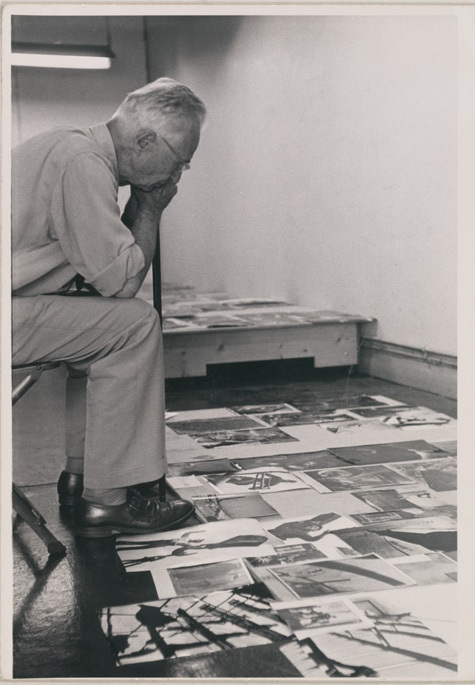 Their initial plans were wildly grand: they conceived of it having a populist, social role (somewhat akin to Edward Steichen gathering to the Museum of Modern Art, New York, the millions of photographs from which he selected the Family of Man exhibition) as well as a professional role in supporting individual photographers — from giving them direct grants and commissions to collecting their work. But within a year or two of its opening it had settled into a mode of exhibiting curated shows of photography to an art audience on a gallery/museum model, occasionally touring exhibitions, and offering facilities and courses to the general public in a Workshop which was established in 1976. The ACP has always suffered an uneasy relationship with its shifting and fractious constituency. In its formative years it was resented by some for draining scarce funds away from the other artist-run photography spaces, quasi-commercial photography galleries, and small photography magazines that were springing up and struggling to survive right across Australia. A single institution, located in the heart of Australia’s largest and wealthiest city, was always going to be subject to accusations of elitism and being out of touch with ‘real’ photography — whatever that was, since the term covered a constantly changing and expanding range of practices. The ACP came into its own under the aegis of American museum based formalism. In its formative years the ACP imported exhibitions by American masters, such as Diane Arbus; and American masters themselves, such as the then Director of the Photography Department of the Museum of Modern Art New York, John Szarkowski, in 1974, and the photographer Lee Friedlander in 1977. However the ACP also began to exhibit and support the first generation of Australian art school graduates, for instance Carol Jerrems, Bill Henson and Max Pam. It also began to bring important aspects of Australia’s photographic heritage to light, for instance by giving Australia’s most important photographer, Max Dupain, his first retrospective in 1977. Olive Cotton, now one of Australia’s most loved photographers, was virtually unknown when she held her first retrospective at the ACP in 1984. Between 1978 and 1982 its director, the US trained Christine Godden, established a new level of museum professionalism in the gallery, and succeeded in moving the ACP to its present location in a busy and fashionable shopping precinct. But during this period the ACP was criticised for institutionally perpetuating an increasingly marginalised formalist photo ghetto, when camera images were exponentially increasing in quantity, proliferating in format, becoming the central theoretical object of postmodern theories of representation, and forming the lingua franca of contemporary art in general. From 1982, with Tamara Winikoff as director, the ACP deliberately tried to broaden and connect itself to a wider variety of communities. In 1983 it began to publish Photofile, which contained reviews and longer historical, critical and theoretical articles. The gallery program now often featured community based and issue oriented exhibitions exemplified by the ‘suitcase shows’ it toured, which were inspired by the radical socially aware practices of British photographers like Jo Spence. Photofile was particularly exciting in the mid 1980s, with the critic Geoffrey Batchen as editor, because by then a whole range of sophisticated discourses had taken the photograph as their principal subject, and a new generation of theoretically savvy art school graduates placed the photographic image — if not the idea of photography as an autonomous, historicised, fine art medium — at centre stage in Australian art. During the 1990s, with Denise Robinson as director, this new wave of art school graduates, such as Tracey Moffatt, Anne Zahalka or Robin Stacey, were all featured in the gallery, which also became an important Sydney Biennale and Sydney Gay and Lesbian Mardis Gras venue. At the same time, however, the Workshop was languishing, Photofile was disappearing under a miasma of thick prose and arch imagery, and the ACP was falling into debt. Much of the tenure of the next director Deborah Ely, appointed in 1992, was involved with successfully negotiating the re-financing and extension of the ACP’s building, as well as upgrading and updating the Workshop and revitalising Photofile. The gallery, although closed for refurbishment for long periods, continued the trend of exhibiting work in photographically related, particularly digital, media. The current director, Alasdair Foster faces an entirely different climate from the one into which the ACP was born. Photography is no longer a young medium impatiently knocking on the doors of art. As an art practice its edges have long since dissolved into digital media, film, performance and installation. It is now a pervasive cultural and psychological phenomena. The ACP is no longer the sole ‘foundation’ for photography in Australia, it is now just a small part of a vibrant and well established matrix of museums, libraries, galleries, magazines, and art schools right across the continent. What has the Australian Centre for Photography ever done for me? This year is the Australian Centre for Photography’s twenty fifth birthday as an exhibiting gallery. It was a child of the ‘photography boom’ of the 1970s, but since then the ACP has not only been a major player in the appropriational use of photography 1980s, but it has also successfully accommodated the dispersal of media categories in the 1990s to now be in a stable financial position, secure in its own building, and with a new director with an international reputation. But nonetheless, throughout its history, there has always seemed to have been something wrong with the ACP. And there’s always been somebody willing to point it out. Its problems were right there in its name. How could a gallery and workshop in Sydney’s Paddington service the needs of photographers Australia wide? And what exactly did it mean by ‘photography’ anyway? Who were the photographers the ACP was set up to enfranchise? And through what means could a ‘Centre’ constitute them as a community in Australia’s limited funding environment and against a rapidly changing technological and cultural landscape? Any photographer anywhere in Australia could legitimately ask ‘what has the ACP done for me?’, and not get much of an answer. The ACP has always suffered an uneasy, mutually suspicious relationship with its shifting and fractious constituency. It has never wholly escaped the manner of its birth: in 1973 it had been established as a ‘Foundation’ for photography, by decree of the Australia Council, after the successful lobbying of a small group of well connected men. Since then it has seemed to be always already there, burdened by an accumulation of prior ambitions and allegiances, and perpetually trying to reinvent its role for a mutating constituency. But the fact that there was always something wrong with the ACP is what makes its history so fascinating. The ACP has never, in fact, been central to Australian photography. It was always one, albeit better funded and more stable, player amongst the many artist run spaces, quasi-commercial galleries, dealer galleries, small magazines, art school departments and art museum departments which all sprang up in response to the new interest in photography in Australia. By and large the ACP worked cooperatively and supportively with all these other players. But throughout it all it also managed to hang on to the lion’s share of public funding for photography, so that the quarter-century saga of the its internal coup d’états, public self-flagellations, and internecine snipings are the only thread which runs consistently through recent Australian photography. The ACP came into its own under the aegis of American museum based formalism. The grandly wild ambition of its founding fathers had conceived of it having an inclusive, populist, social role (somewhat akin to Edward Steichen’s papal role in gathering to the Museum of Modern Art the millions of photographs from which he selected the Family of Man exhibition), as well as an extensive role in supporting individual photographers — from giving them direct grants and commissions to collecting their work. But within a year or two of its opening it had settled into a mode of exhibiting curated shows of art photography to an art audience on a hybrid gallery/museum model — a model which persists to this day. The personalities of its various directors have always defined the ambience of the ACP. During the tenure of some directors it seemed as though the place had a distinct chill that came from more than just its air conditioning. However directorial style and personality were also a lightning rod for various external disgruntlements. However it must be said that no director lacked vision or courage, and under each the ACP either expanded or consolidated itself as an institution. 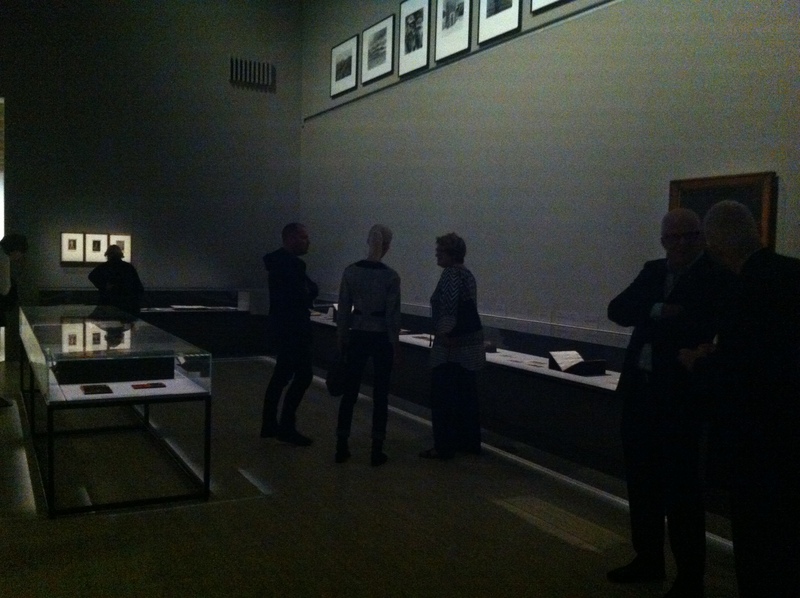 Nor did any director preside over an entirely homogenous exhibition program. Looking back over the ACP’s archival scrapbooks it is clear that although there were distinct directorial agendas, each director also attempted to answer the demands of the ACP’s rumbustious constituency — they programmed plenty of exceptions to my generalisations below. Nonetheless the succession of ACP directors is a convenient way of periodising the ACP’s style and direction. In the formative years from 1973 to 1978, under Graham Howe and Bronwyn Thomas, the ACP established an educational workshop and imported American master shows, such as Diane Arbus, and American masters themselves, such as Lee Friedlander. After 1978 Christine Godden consolidated the gallery with an emphasis on professionalism, quality and presentation. Anybody who worked at the ACP during the 70s and 80s will remember its storeroom full of stacked aluminium frames in standard sizes: twelve by sixteen inches, sixteen by twenty inches, and twenty by twenty four images. The walls of the carpeted gallery were clad in sheet steel and wrapped in beige cloth, and the frames were attached in regular rows with industrial strength magnets. The problem was that the kind of photography that this unique hanging system was devoted to —the isolated fine print — was already problematic. The ACP was institutionally perpetuating an increasingly marginalised art ghetto when camera images were proliferating in quantity, dispersing in format, becoming the central theoretical object of postmodern theories of representation, and forming the lingua franca of contemporary art in general. Godden received much criticism from critics such as Anne-Marie Willis. But she was also responsible for moving the ACP from its cramped terrace buildings to a prime Oxford Street location. And she did program agenda-setting non ‘fine art’ shows such as Giorgio Colombo’s exhibition of criminological photography ‘A Suspect Image’, and the conceptual/political work of the Canadians Carole Conde and Karl Beveridge. From 1982, with Tamara Winikoff as director, the ACP deliberately tried to broaden and connect itself to a wide variety of communities. It began to publish a tabloid format magazine — Photofile; lectures, talks and forums became more regular; the smaller gallery became ‘Viewpoints’ which was devoted to young and emerging photographers selected by a curatorium; and the Workshop became more sophisticated and elaborate in the courses it offered. The gallery program itself swung away from fine art and towards a British, community based, pedagogic model exemplified by the ‘suitcase shows’ it toured. Although this did tap into the expanding number of government grant categories, some found this style of exhibition uninteresting, politically exhausted and theoretically out of date as an art practice. However during this period the ACP also supported ambitious multi media installations such as Dennis Del Favero’s “Quegli Ultimi Momenti” of 1984. Photofile was particularly exciting in the mid 1980s, after it moved to a magazine format with Geoffrey Batchen as editor. 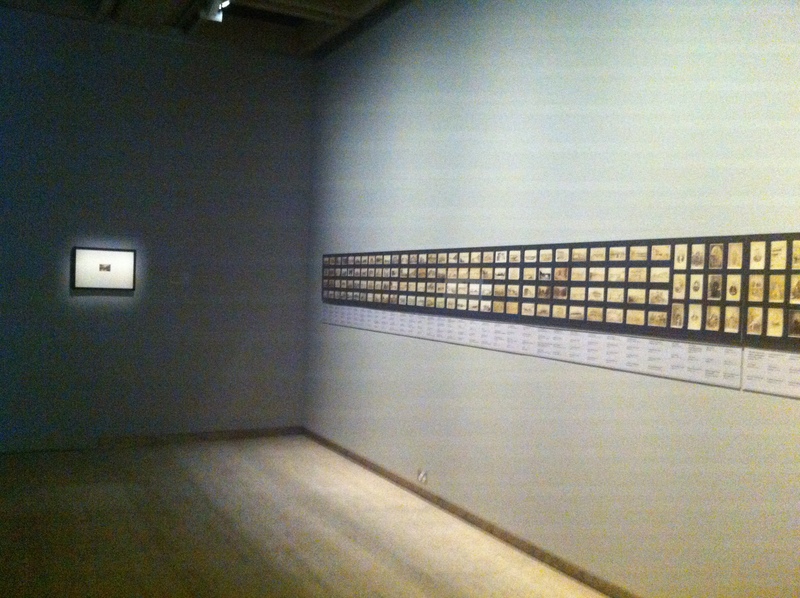 By then a whole range of sophisticated discourses had taken the photograph as their principal subject, and a new generation of relatively theoretically savvy art school graduates placed the photographic image — if not the idea of photography as an autonomous, historicised, fine art medium — at centre stage in Australian art. Denise Robinson, coming well credentialled from Melbourne’s hip and up-to-date Ewing and George Paton Gallery in 1986, imposed a theoretically driven style that attempted to bring the ACP to the cutting edge of contemporary Australian art, but which many found tendentious, pretentious, cliquish, visually unsatisfying and ultimately alienating. But during the late 1980s staff discovered that they could paint the beige cloth walls white, they could drive nails through the sheet metal and even pull the carpet up for installations (although, come the early 1990s, the sheet metal walls finally defeated the new de rigour fashion for punctiliously pinning elegantly curled prints to the wall). The new wave of art school graduates were featured in the galleries, which also became important Sydney Biennale and Sydney Gay and Lesbian Mardis Gras venues. However, whilst successful projects such as the 1990 billboard project ADD MAGIC were being staged, the Workshop was languishing, Photofile was disappearing under a miasma of thick prose and arch imagery, and the ACP was falling into debt. Much of the tenure of the next director Deborah Ely, appointed in 1992, was involved with successfully negotiating the re-financing and extension of the ACP’s building in an epic legal, political and financial battle. However she also got Photofile back on the rails and revamped the Workshop into a technologically relevant professional education provider. The gallery, although closed for long periods, continued the trend of incorporating work of photographically related, particularly digital, media. The current director, Alasdair Foster, who comes to the ACP from Britain after establishing the internationally successful photography festival Fotofeis, faces an entirely different climate from the one into which the ACP was born twenty five years ago. Photography is no longer a young medium impatiently knocking on the doors of art. As an art practice its edges have long since dissolved into digital media, performance and installation. As a cultural phenomena photography is no longer constituted by the simple accumulation of all the individual photographs published in the media and pasted into our family albums, now photography is a temporal-spatial ‘effect’ which haunts all art. Photography is no longer just a cultural presence, it has become culture’s central nervous system. To Foster this makes the role of the ACP, an institution whose gravitational centre will remain photo-based art, more vital than ever. Martyn Jolly was a student intern at the ACP in 1981, worked as a curator there between 1985 and 1987, had one person shows there in 1988 and 1998, and has served on various ACP committees and sub-committees since 1982. He still tries to visit whenever he is in Sydney. A few days later, in an article headed ‘Bondi beach boys regroup on a wave of nostalgia’ the paper tells how a Mr Finn had seen himself in the photograph when it was reproduced in the SMH. He first rang up the paper, then three of his mates who were also in the photograph. They all visited the exhibition and were photographed in front of the image. […] “I didn’t think my past would ever catch up with me” retired solicitor John Hickey joked. […] Mr Hickey’s past has caught up with, and overtaken, him. The image chosen by the State Library to promote its new exhibition is one called The Boys on the Beach. It appears on posters, handbills, and on the back on many State Transit Buses. Sam Hood, […] snapped this group of 14 bronzed Aussies […] on Bondi Beach. He recorded it simply as ‘Beach Scene’, […]. Four of the beach boys were reunited last week for a tour of Sydney Exposures: Mr Hickey, retired pharmacist Greg Williams (fourth from the right) retired publican Tom Moody (the group’s only blond) and CJ. Finn, who has “Done a bit of everything: (far right). […] Oddly enough, none of the four can remember the photographic session which produced this quintessential Sydney image. They do, however, vividly remember those endless, carefree summers on Bondi Beach. […] They were there on February 6, 1938, the notorious Black Sunday, when nearly 200 people were swept off a sandbank at Bondi, and five drowned. “People were being pulled [out of the water] by the hair,” Mr Finn recalled. Studying the Library’s huge blowups of the photograph, they identified most of the participants, […]. Oddly enough, none of the four can remember the photographic session which produced this quintessential Sydney image because they weren’t there. The photograph was taken in 1932 and it is not of them. Alan Davies was away on leave at the time, and was unable to defend his forensic method of dating the photograph, which had used the full scientific arsenal of the Library’s archival systems, against the organic, corporeal testimony of the men’s memories. Eventually a total of forty-eight people came forward claiming to be in the photograph, and Alan Davies has now, through proper curatorial verification, been able to positively identify each of the fourteen participants. Mr Finn and his mates had hallucinated themselves into this quintessential image. The completeness and extent of their hallucination is extraordinary, identifying ‘most’ of the participants in the photograph. The SMH, also, was an active participant in this consensual hallucination, asking its readers, in the face of the evidence of the photograph itself, to believe that the young men in the photograph are only 15 or 16 years old. What historic and mnemonic processes are at work to cause this mass hallucination? What is it about photography itself which has recently generated the slew of similar stories both in Australia and overseas, all of which involve the unlikely ‘return’ of participants out of classic historical photographs? I have collected ten of these stories from Australia alone. A classic photograph has a lot in common with a classic painting. They both circulate endlessly throughout our visual culture: on stamps, postcards or T-shirts. They are both displayed as important works of art, or parodied by cheeky young artists and advertisers. They are both associated with art, skill and genius, which is seen to have somehow condensed and embodied a mythic aspect of nation, race or history. But there are also important differences between a classic painting and a classic photograph. As they grow more famous both the classic painting and the classic photograph grow in power as public testaments. In the classic painting this testamentary power resides more and more in the very painting itself: the fibres of the canvas, the facture of the paint, and the patina of the grime grow in density as history impacts into them and compacts them down. Their aura as artefacts grows. However in a classic photograph the power of the photograph as auratic object increases only slightly (photographs are still no where near getting the same price at auction as paintings) but the power and focus of its referentiality becomes more acute as it becomes more famous. A classic photograph is able to suddenly swoop us down into a direct, personal experience of history, whereas a classic painting never can. A good example of this occurred on a front page of the Weekend Australian in 1989 where two photographs appear under the heading ‘Snapshot of a Suburb’s Soul Revisited’. The larger photograph was of a woman standing in front of a terrace house with a tower block of flats behind, the smaller was David Moore’s classic Redfern Interior. The caption reads ‘Mrs Dawes Yesterday […] and, below, in bed with her child in the classic 1949 David Moore photograph’. It is 1949 and a young mother lies in bed cradling her newborn, her husband’s belt hangs in reach “in case the kids muck up” and a hand-made hessian basinet stands alongside. An old and worried woman stares intently into the future as she leans on the base of a rickety wooden bed while a mop-haired toddler sits at her feet clutching a doll. The old woman was one of Redfern’s most familiar faces, Mrs Annie Plumber, and the blonde poppet with a dirty face was her grand daughter, Carol Stanley. The young mother captured forever on film is Mrs Eileen Dawes and her story is a living sculpture of Australian suburban life. She was born in Redfern—once Sydney’s quintessential Australian Suburb, now famous for its Aboriginal ghetto—in 1915, just weeks before Gallipoli forged the ideal of Australian nationhood. She was a mother when crime queens Tilley Devine and Kate Leigh fought for influence in Sydney’s underworld. In the austere post war environment of derelict inner city tenements and rutted narrow lanes, Eileen Dawes gave birth to a baby—one of 16 pregnancies—and a stranger entered her life. The stranger was an anonymous photographer brought to the crowded terrace to capture a classic scene of Australian life. Forty years later Mrs Dawes was to learn that the visitor was a man named David Moore, now one of Australia’s best known photographers, and that her picture had become famous. […] Regularly republished in books and magazines the photograph Redfern Interior 1949, has hung on the walls of the world’s great art galleries and the scene has come to epitomise an Australia that is forever lost. Months of searching for the photograph’s unknown subjects took The Weekend Australian back to within metres of where it had originally been shot so many years ago. Hours spent scouring yellowing minutes and eviction notices from the now defunct Redfern Council, days of door knocking and false leads were eventually rewarded when Annie Plumber’s daughter, Celie, identified her mother. […] This week we went back to Redfern and back to Eileen Dawes, now 74. And the story of her life since the day this picture was taken is a tale of a battler who made it. Mrs Dawes—nanna to 31 grandchildren and great nan to 16—said: “I remember the photo being taken. I had just had the baby and my neighbour came in and said there was a man who wanted to take my photo. “I had nothing to lose, but when my Billy came home he went bloody crook for having a man in the bedroom. “Poor old Mrs Plumber was there too, she had a hard life you know. But then, they were hard times. […] It is many years since Eileen Butler walked up the cobbled back lane to marry William Dawes at St Pauls Church of England on January 18, 1933, and memories are blurred. All the Dawes children have left, as has Carol Stanley, the child at the foot of the bed. This, like all of the other ‘returned’ articles, is rich with historiographic intertextuality. A massive historical span is measured in the trajectory from Gallipoli to a contemporary ‘aboriginal ghetto’. The incipient reference to the Nativity present in the original photograph is picked up by the journalist who enlists the photographer himself to play the part of the Three Wise Men as a ‘stranger’ who was ‘brought to her terrace’ and ‘entered her life’. Her nationalistic maternity is played off against the alternative, larrikin femininity of underworld crime queens. Labyrinthine slums are evoked by Dickensian cobbled back lanes, rutted narrow lanes, and tenements. But what is of interest to me, more than the journalistic poetics, is the elaborate lengths to which the article goes to establish the simultaneous obscure privacy and public iconicity of the participants. Mrs Dawes is only found after an elaborate search by the Weekend Australian. She would have been lost to us entirely except for the chance recognition of a random door knock. She remained ignorant of her fame, and went on to personally spin a web of contingent anecdote around herself—tediously elaborated in the article with names, ages, and dates—whilst at the same time her image was congealing into an icon on the walls of the world’s greatest galleries. Yet the two processes seem related, and to affirm and reinforce each other. Although the classic photograph cannot accrete to itself the artefactual aura of the painting, in this case it has been able to discursively generate an aura around its participants. Their memories and bodies measured and recorded an epic time span as they slowly turned into living sculptures whilst their image was elsewhere, simultaneously turning into an icon. But this mutual exchange between photograph and participant is not always stable. As it drifts further away from the moment when it was taken a classic photograph’s symbolic and iconic reference to an entire national collectivity becomes broader and more inclusive. However at the same time its testamentary and contingent reference to a local moment becomes narrower and more particular. The resultant tension between the classic photograph’s personally mnemonic power and its historically iconic power often leads to a scandal within our complacent assumptions about photography’s historical truth. For instance a few days after the death of Max Dupain in 1992 the Sydney Morning Herald carried a front page article, ‘Exposed: Max’s bronzed Aussie Sunbaker was a lilywhite Pom’, in which Australia’s top corporeal icon is revealed to have been not only palely English, but cultured as well. It was taken on some empty south coast beach, where a group of friends was camping one summer weekend. One, glistening from the surf, flung himself on the sand, pillowed his head on a forearm and slept in the sun. Another of the group, the 26-year-old Max Dupain, photographed him as he lay, and the ensuing image Sunbaker 1937 became an Australian icon. Its universality and power as icon bestowed anonymity on the Sunbaker —until this week, that is, when the death of Max Dupain 55 summers later brought what is possibly his most widely-known image to the fore. […] It was on one of those idyllic prewar weekends that the photographs […] were taken. […] The war put paid to the close knit activities of the group. After war’s end, their ways struck out at different tangents, though they remained in contact all their lives. Harold Salvage went on to become an architectural engineer with the Department of Works, […]. Max Dupain, however, stayed with photography, shaping his images, capturing the fall of light, perfecting his passion for form and the moment. The compulsion to spend several days of one’s time searching yellowing council files for Redfern Interior, or to ask ‘who was the Sunbaker’, seems intimately associated with the nature of photography itself. Asking similar questions of classic paintings, like ‘who was Shearing the Rams?’ or ‘is the Victory Girl a grandma now?’ doesn’t have the same imperative. Obviously the ontological nature of the photograph, its celebrated optical and chemical causality, allowed 2GB to ask the question. It is only a classic of Australian photography that can be commemorative on both an iconic and an evidential, a connotational and a denotational, a semiotic and a material, level. But even if photography allows such questions, why do they appear to be compelled? What is it about history and memory which demands those questions of the photograph? On one level these newspaper stories take simple delight in reasserting the popularly mnemonic in the face of the institutionally historic. This leads to the tongue in cheek, but nonetheless triumphal, ‘exposing’ of a mnemonic scandal within historic iconicity. Mostly, however, both photographer and subject are presented as unwitting innocents equally caught up in the whirl of the past. For instance in a 1993 the SMH, under the heading ‘A ‘sticky beak’ seeks out the man who shot her in Corfu St’, three photographs appear: one of Henry Talbot’s Woolloomooloo Girl, taken in the 1950s, and two of its subject, Miss Janet Barlow, with the photographer forty years later. Janet Barlow’s face has aged, but there is still that direct gaze which caught the eye of the photographer Henry Talbot 40 years ago and became a classic Australian image. The photograph, Woolloomooloo Girl, can be found in the National and NSW Galleries: a snapshot of a young girl, aged 9 or 10, leaning over a fence on Corfu Street and staring down at the camera unabashed. […] The photograph became Talbot’s best known and one of his most cherished, although he never knew the girl’s name. That is, until this week when, after 40 years, Janet Barlow and Henry Talbot came back to Corfu Street. [I]t took only a search of the phone books by Miss Barlow before photographer and subject agreed to return to the scene. Soon they were recalling how that photograph happened. For Miss Barlow, a neo-natal nurse from Russell Lea who turns 50 this year, the memory is even clearer. […] Mr Talbot always thought the Woolloomooloo Girl was a photograph from 1956, but Miss Barlow said her family left Corfu Street in 1954 when she was 11, putting the photograph at ‘52 or ‘53. Either way, the photo, like their memories, essentially is timeless. (Sydney Morning Herald, 28 August 1993, 3). The memories of photographer and subject are not commensurate, but any possible scandal is averted by them both accepting equally serendipitous roles in what are presented as the larger workings of time, history and the medium. Their lives briefly came together with the lightest of touches and then parted, only to meet again as if by fate when the infinitely complex historic and mnemonic interactions of the mass distribution of birthday cards and the sharp eyes of nieces inevitably intermeshed. They now willingly submit their memories to the “timeless” hegemony of history. An important element in all of these stories is the crucial role of a media institution, either a radio station or a newspaper or magazine, as a mediator between memory and history. The media’s panopticism, its ubiquitous presence across time and space, is what completes the circuit and allows individuals to ‘return’ to the realm of lived memory from their iconic imprisonment in history. The front page newsworthiness of such transubstantiations lies as much in the newspaper’s celebration of its own power and custodianship over memory and history, as in the event of the coincidence itself. The SMH obviously has a stake in implicating itself into the very substance of this memory/history fortuity. Although these stories could be seen as mere puff pieces, through them and similar faits divers (which in fact take up a large proportion of the paper) it may well be constructing itself as an ancient, capillary, historical and mnemonic presence in all our lives. One plausible explanation of these stories is that the press is preparing its readers for a crisis in faith in its photographs brought on by computer digitalisation. In a future where the photograph, previously regarded as ontologically ‘truthful’, is realised as a infinitely mutable file of mathematical data, the newspaper’s curatorial process of archiving and publishing will become more important to a photograph’s ultimate authority than its diminished denotational power. Each of the stories emphasises the discursive nature of the classic photograph: analysing the nature of the photographer’s genius, performing sophisticated semiotic readings of its connotational procedures, and charting its role in our visual culture. These stories could therefore be encouraging us to invest faith not in the ultimate ontological authority of the photographic image, but in the ubiquitous systems of recuperation and transmittal represented by a new kind of social contract between the newspaper’s archive and its readership. For instance after the recent Papal tour the SMH, in an ad headed ‘Were you photographed with the Pope?’, invited its readers to come in to the Fairfax Photo Library and view the photographs taken by its journalists on the off chance that they had captured an accidental souvenir. Their photo libraries are one authoritive advantage the press still maintains over TV. TV uses ephemeral video tape, its news programming valorises instantaneity and brutal denotational effect, and the rest of its scheduling displays a notorious disregard for the orderly progression of time and the temporal particularity of events. To TV, the past can only be recalled in generalised, experiential, and imagistic terms. In the article “Between Memory and History: Les Lieux de Mémoire” the French historian Pierre Nora elaborates on Benjamin’s originally ambivalent complaint by claiming that as a result of modernity there is now an unprecedented rupture of the present from the past. Modernity is obsessed with memory, but in a commodified, localised form. Because of the media we now ‘know’ more about recent and current events. But this has replaced a memory entwined in the intimacy of a collective heritage with an ephemeral, filmic knowledge. Memory which was once organic, natural and ubiquitous, must now be preserved in lieux de mémoire which are “sites of memory, because there are no longer milieux de mémoire, real environments of memory.”(Nora 1989, 7) Because there is no longer natural, spontaneous memory, we must deliberately create archives, maintain anniversaries, organise celebrations, and pronounce eulogies. Since our connectivity to the past can no longer be experienced from the inside it has to be experienced from the outside, via its outward signs. Memory is absorbed and reconstituted in the archive which becomes a prosthesis-memory. Because this new historical memory is no longer a collective practice we tend to interiorise and individuate it. Everyone goes in search of their own memory, or that of their ethnic, class, or professional group—hence the recent boom in genealogy. The past becomes a skein of jealously maintained genealogies rather than a nurturing environment in which we all live. Memory also tends to become retinal, televisual, cinematic and narrativised because this is how we understand the present. In present day Australia the conjunction of the genealogical and the retinal is attaining its epiphany when nieces recognise aunts and sons recognise fathers in classic photographs. Although not always seen in the apocalyptic terms of Nora, the memory history dialectic has been a key talking point within recent historiography. (Hamilton 1994, 9-32) Oral historians are well aware that history affects and changes memory, bending and mutating it to fit in with itself. Researchers into the experiences of Australian women on the Home Front during WW11 are confidently told by their subjects that they will learn every thing they need to know from watching The Sullivans. (Darian-Smith 1994, 137-157) Alistair Thomson’s book Anzac Memories: Living with the Legend chronicles the often traumatic reorganisation of memory under the rule of mythic history. [T]he apparently private process of composing safe memories is in fact very public. Our memories are risky and painful if they do not fit the public myths, so we try to compose our memories to ensure they do fit with what is publicly acceptable. Just as we seek the affirmation of our personal identities within the publics in which we live, we also seek affirmation of our memories. […] [O]ur memories need the sustenance of public recognition, and are composed so that they will be recognised and affirmed. (Thomson 1994, 11). At the same time, of course, popular memory does constitute a relatively autonomous form of history; and history itself is constantly maintaining and refreshing itself with strategic injections of memory. However, even if there is a cross infection of memory and history, it is still useful to think of individual memory and institutional history as fundamentally mutually opposed terms. In this light these stories can be seen as attempts by newspapers to establish themselves as Lieux de mémoire, as mediators between the combative forces of history and memory. In an attic or in a garage, among cherished papers or letters, could be the photograph that captures in one frozen image the essence of Australia’s involvement in the Vietnam War. A search is under way to find it and use it as the central figure of the new Australian Vietnam Forces National Memorial in Canberra. The photograph should evoke Australians in Vietnam, just as cameraman Damien Parer’s image of a wounded digger with bandaged eyes, leaning on his mate and crossing a New Guinea river, caught Australians in World War Two. […] “It will be a tall order but I believe that between what is available in Canberra[…] and what is stored, probably in someone’s keepsakes, we will find something.” The committee is looking at photographs from the Australian War Memorial but is hoping that veterans, their families or other members of the public will submit photographs never before seen. “It could be a picture taken by a soldier hurt and killed in combat that only the parents or loved ones have that fits the bill. (Sydney Morning Herald,18 July 1990). As it turned out, the mnemonic forces ritually invoked by this article didn’t work, no quintessential photograph manifested itself in a shoe box, or an attic, or a garage. The committee had to sift thorough an official collection to find the photograph they eventually used—a Kodachrome slide taken by an official photographer which had been part of the displays in the Memorial itself at least since the early 1980s. Found! The dancing man. After a fleeting but unforgettable encounter on the day World War 11 ended, Freda Osborne and mystery man Ern Hill have been re-united at last. […] Ern, 67 […] was the young man pictured doffing his hat and whirling past two bemused young women, one of whom was Freda, and two soldiers. That image of the “dancing man”, more than any other, symbolised the outpouring of joy which gripped Australia on August 15, 1945. But although footage of the young man’s uninhibited display has been shown hundreds of times, his identity was unknown until The Women’s Weekly reproduced the picture as part of its “Australia Remembers” tribute to World War 11 last month. […] The Department of Veteran’s Affairs wanted to find the “dancing man” to help promote the “Australia Remembers” celebrations […] It asked various service organisations for help, but without success. It was even thought that the “dancing man” could be dead. 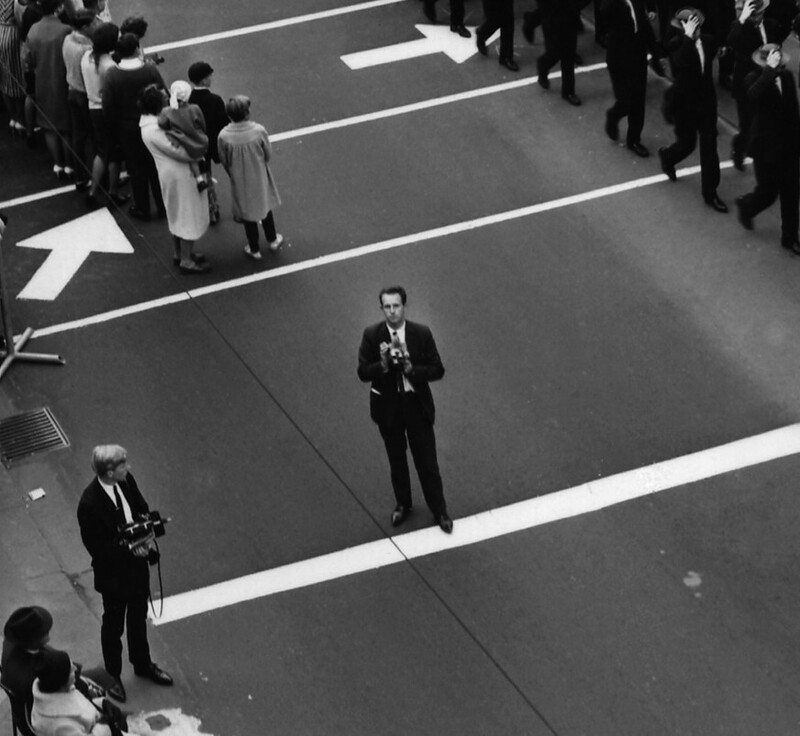 […] When Sydneysider Sue Butterfield saw the photograph she instantly recognised her father, Ern Hill, as the famous “dancing man”. Ern, now retired, reluctantly agreed that indeed he was the man in the picture. […] In last month’s issue, Freda Osborne told how she was with her friend Clarrie, when the “dancing man” twirled past. Then, when The Women’s Weekly told Freda that the “dancing man” had been found, she said she would “just love” to meet him. […] She told him that, as he whirled past her that afternoon, he shouted: “Come on luv, the War’s over so let’s dance.” Then she said Ern asked for a kiss. She remember laughing and telling him he was “a cheeky devil”. In all these accounts we have the strange figure of the return of the lost identity from some kind of incarceration in history, as though they were POWs finally released from History. These released Prisoners of History stumble out in a confused, jostling rush. They bring with them not only extra news and further poignant details from their memories—which may occasionally contradict, but generally reinforce our historical knowledge—they also bring the material testimony of their own selves, their weathered bodies and tangled pasts. But, just as glorious, contingent, unmotivated memory is liberated from history it is re-imprisoned to serve history once more. Just as memory fades under the retinal rule of modern history it is recuperated to be used once more to cast a final, auratic glow back onto that which is extinguishing it. Benjamin, Walter 1973, ‘The Storyteller: Reflections on the Works of Nikolai Leskov’, in Illuminations, Fontana, 83-109. Darian-Smith, Kate 1994, ‘War Stories: Remembering the Australian Home Front During the Second World War’, in Memory and History in Twentieth Century Australia, ed. Kate Darian-Smith and Paula Hamilton, Oxford University Press, Melbourne, 137-157. Hamilton, Paula 1994, ‘The Knife Edge, Debates about Memory and History’, in Memory and History in Twentieth Century Australia, 9-32. Nora, Pierre 1989, ‘Between Memory and History: Les Lieux de Mémoire’, Representations, 26, Spring, 7. Thomson, Alistair 1994, Anzac Memories: Living with the Legend , Oxford University Press, Melbourne, 11.